Come and visit Martineau Gardens this weekend, Saturday 3 and Sunday 4 September for the return of the Birmingham Honey Show. Find out why honey bees need beekeepers to survive and why bees are important to the environment. Enjoy the crafts and produce associated with this traditional craft, all in the setting of a beautiful garden. 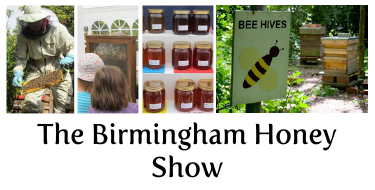 Organised by Birmingham & District Beekeepers Association, Saturday 3 and Sunday 4 September 2016, 10am until 4pm, Free entry. Find out more here.